Executive Director Craig Lewis was a panelist at this event, which took place on February 20, 2018 in Santa Barbara, CA. Craig Lewis, Executive Director for the Clean Coalition, was a panelist at the Rebuilding Montecito: Pathways to a Resilient Future event, which took place on February 20, 2018 in Santa Barbara, CA. 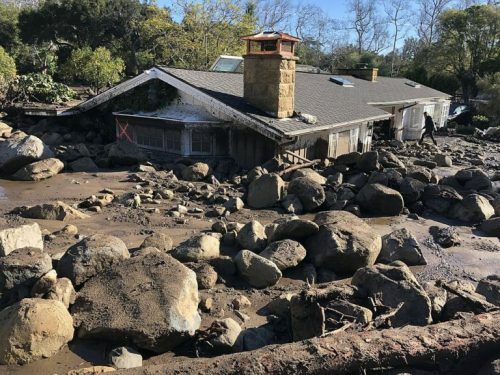 Climate catastrophes have left Montecito reeling, but the community believes that it can and will recover from the localized impacts of global warming if its citizens come together. This event brought the community together to collectively question how it should rebuild the city and incorporate resilience at the center of the restoration efforts. Santa Barbara County residents had a unique opportunity to ask local officials and statewide government to engage with the future and build an infrastructure for the 21st century. This Global Citizen’s Club meeting convened a panel including representatives from the Montecito Planning Commission, Santa Barbara County Supervisors, State government, and the Clean Coalition to discuss pathways to a more resilient electrical grid and sustainable future. Slides are available in PDF or PPT format.